Front Page > Swindon Life > Do EU Fancy A Pint? Do EU Fancy A Pint? Pub outside polling station leaves voters with a tricky decision... IN or OUT?! With their popular local pub right opposite the polling station, people in Castle Eaton have naturally been popping in for a quick one after casting their vote in the EU referendum. But just when drinkers think the decision-making is over.... the biggest one of all is still to be made! IN or OUT?! 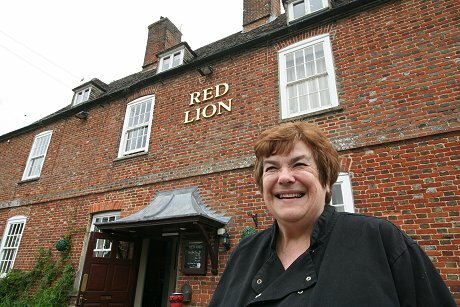 Melody Lyall, the longstanding landlady at The Red Lion, has put up cheeky signs on the two main entrances to her pub giving visitors the choice today to indicate how they voted. leading to the main bar and a well-kept pint of ale. 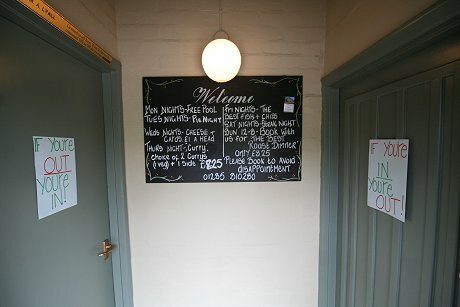 where you'll find a door locked shut, it's a very simple choice if you want to get served! "It's just a bit of fun, really," Melody said, "the EU debate has been quite a talking point here in the pub over the last few months - often quite heated I have to say - and I thought it a good idea to see which door people would go for in the end. 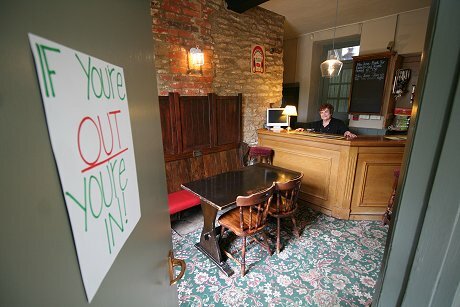 "We've had quite a few local Swindon MP visit the pub over the years too, one even lived here in Castle Eaton, so it'll be especially interesting to see if any of them pop in this evening!" "But whatever the final decision is tomorrow, both doors will be open as normal with everyone welcome!" 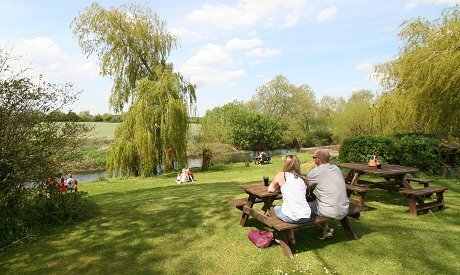 The Red Lion, which has recently undergone a complete refurbishment, is the first pub on the Thames and offers river views and food 7-days-a-week. Buckland says OUT; BoJo says IN. But what say you Justin Tomlinson? 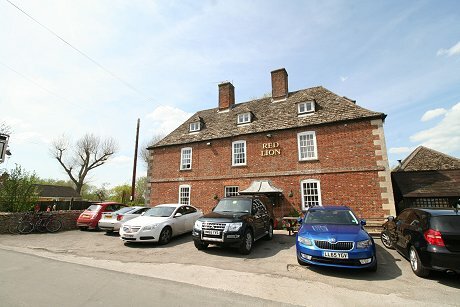 The Red Lion, Castle Eaton - more info.